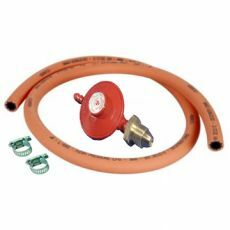 Calor Propane Regulator with Hose. Allows connection of your appliance to the propane gas cylinder. Fits all size propane gas cylinders including Calor Gas, Flogas, Alta Gas etc.